Meet The Team | Santa Rosa, Ca | Kelly Waggener, D.M.D. Cori grew up in Fresno, CA. She graduated from the Foothill College, Los Altos dental hygiene program in 2004 and began working with Dr. Waggener that same year. Cori lives in Healdsburg with her husband and two children. She enjoys spending time with her family especially when they are on their boat in Lake Sonoma. Some might say Cori is a chatterbox but for her patients her stories and laughter are not only entertaining but a nice distraction. Debbie grew up in Casper, Wyoming. She graduated from Sheridan Wyoming College with her degree in Dental Hygiene in 1978. Debbie and her husband have lived in Sonoma County since 2001. Debbie loves the outdoors, golfing and cooking but her biggest passion is her two grown children and her new grand-babies. 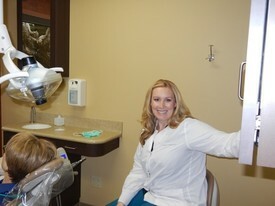 Not only is Debbie an excellent hygienist but she is soft spoken and one of the nicest people you will ever meet. Penny grew up in Santa Rosa. She has a busy family life with her husband and two little ones. When she has some free time, she enjoys hand making beautiful and creative cards. 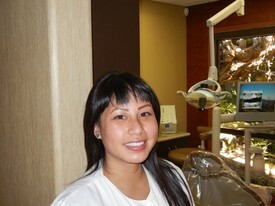 Penny graduated from the Santa Rosa Junior College dental assisting program in 2009. Drs. Lehman and Waggener were very happy that she chose their office to work with. She is extremely hard working, detail oriented and great with patient care. Tiffany grew up in Santa Rosa. She loves playing softball, camping and spending time with family and friends. In 2003 she graduated from the Santa Rosa Junior College dental assisting program. It was Dr. Waggener’s good fortune to hire Tiffany right out of school. They have been working side by side ever since. Tiffany is extremely knowledgeable and amazing with patients. 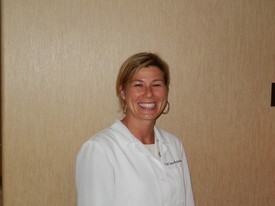 She is able to educate patients and explain dental procedures to them in a very comforting manner. She is also always ready to offer a blanket or neck pillow. Teresa was born in Santa Rosa and grew up on Naval Bases throughout the states of California, Hawaii and Kentucky. 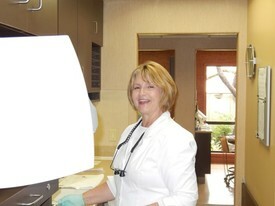 She was in banking for 12 years before leaving banking to join a well respected Santa Rosa periodontal office. When the periodontist Teresa worked with decided to retire in 2010, Drs. Lehman and Waggener were extremely happy to have her join their team. The doctors had interacted with her over the years regarding mutual patients and were always very impressed with the way she combined professionalism, warmth and efficiency. Teresa has brought these attributes to Lehman, Waggener PDC and helps patients through all their scheduling, financial and insurance needs.